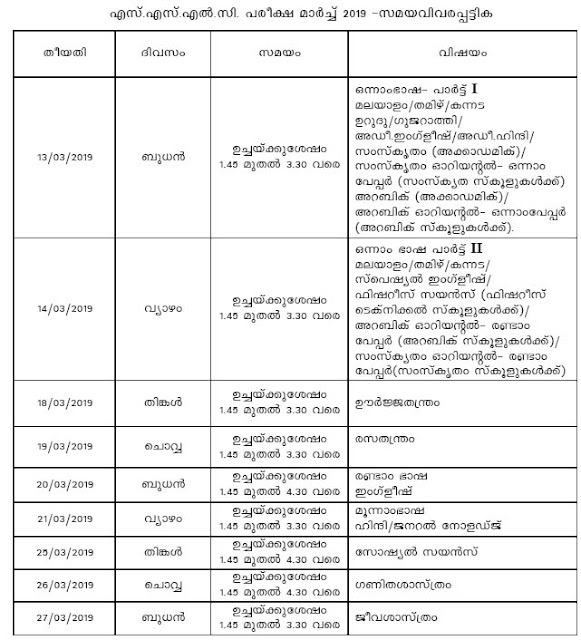 Kerala SSLC (10th Class) Examination Time Table/Exam Datesheet/ Exam Schedule March 2019 download available from keralapareekshabhavan.in. 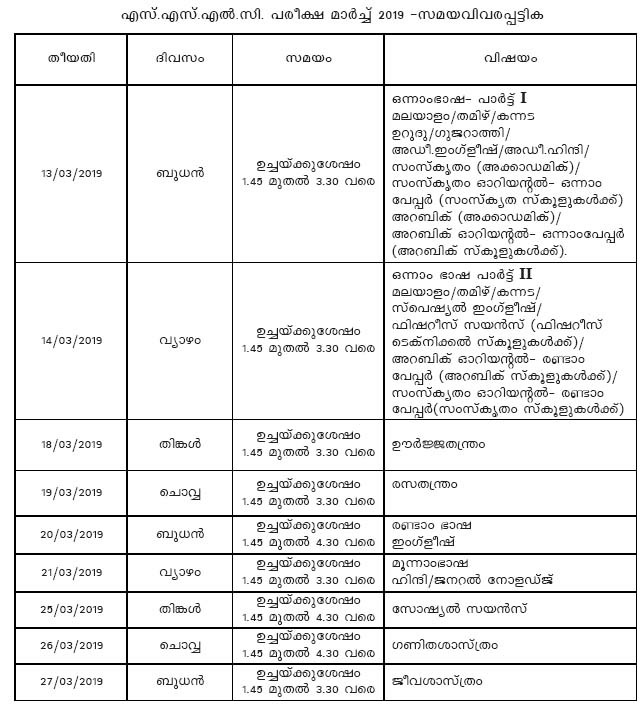 Kerala Board School Leaving Certificate SSLC/10th Examination schedule /timetable/ date sheet released and examination conducting from 13th March 2019 to 27th March 2019. Kerala Pariksha Bhavan conducting the SSLC 2019 examinations every year in the month of March. Kerala Pariksha Bhavan SSLC Examination conducting every day from 1.45 pm to 3.30 pm. The students can get the detailed notification from Kerala Parikhabhavan website.